1. Cocoa beans, 2. chocolate and nuts, 3. 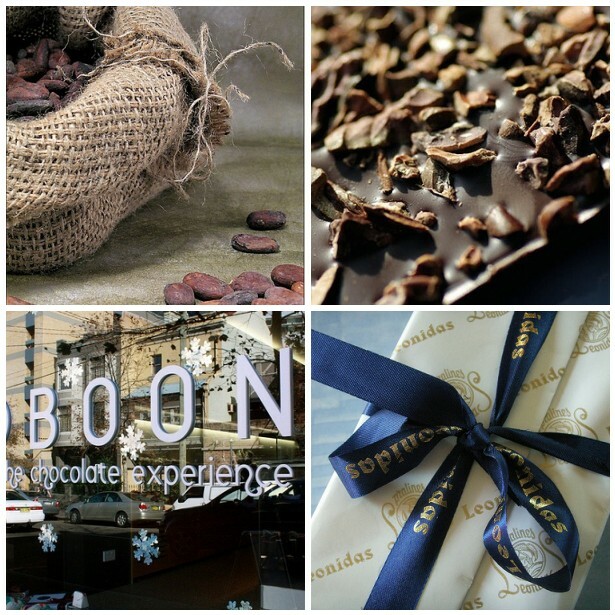 Boon Chocolates, 4. Life Is A Box. Yesterday morning I got this really sweet conversation from a customer on Etsy. She had ordered some mini-art-feelings and they skipped mighty fast to the other side of the world. 'The packaging is gorgeous. I must confess I unwrapped them all to have a look. 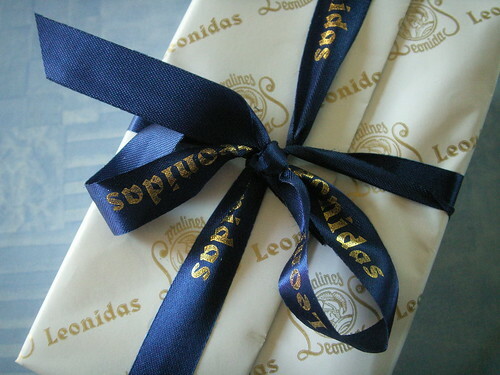 The chocolates, so sweet of you to put them in. My son, who is five, said "wow, Belgium makes the best chocolate! Can you ask Mitsy to make some more?" I love getting packages from around the world, my son and I look at the stamps, find the country on the map and talk about what life would be like there. I can justify my around the world shopping as educational!! It made me smile big time and I think that Angus and I would enjoy munching chocolate together! :) Thank you, Donna for taking the time to write & make my day! So this weeks mosaics is inspired by (Belgian) chocolate. 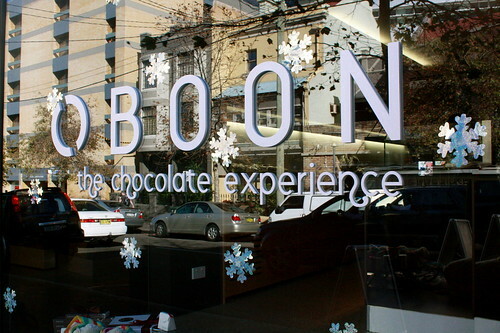 We have a chocolate experience too here in Belgium and I love to go there!